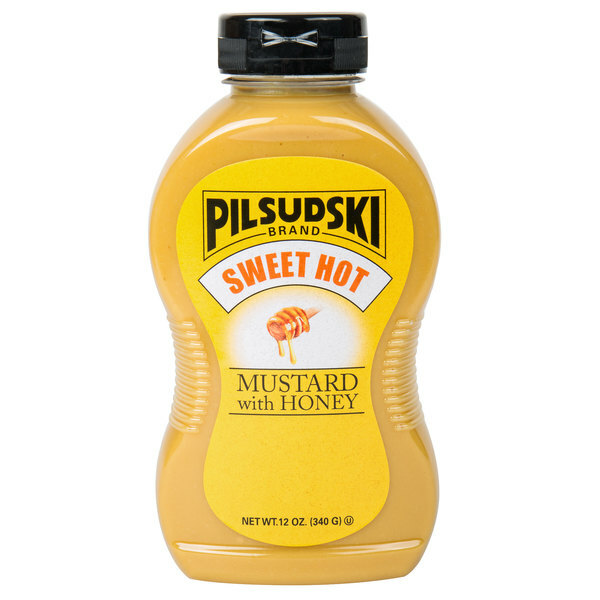 Take your mouthwatering burgers and sandwiches to a whole new level with the help of Pilsudski's sweet hot honey squeeze mustard! This gourmet mustard blends premium mustard seed with fiery spices and sweet honey, giving it depth and a distinct flavor profile without being too overpowering. 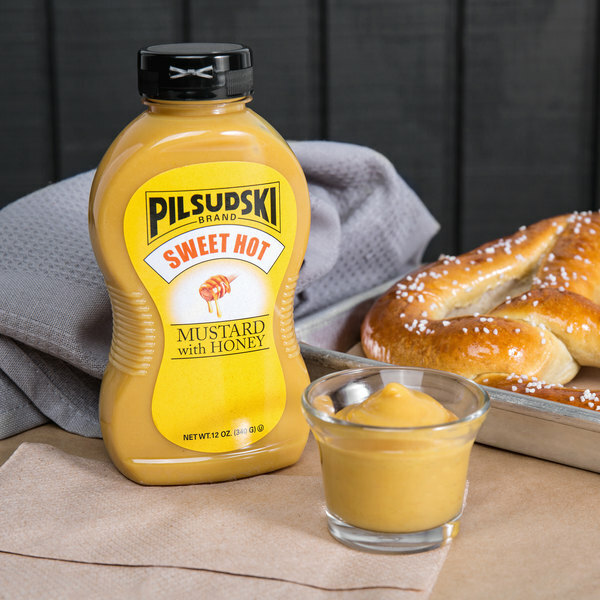 Squeeze into dipping cups to serve with your hand-cut fries and pretzels, drizzle atop your signature burgers and hot dogs, or even use this mustard to create a signature sauce to coat your chicken wings in! 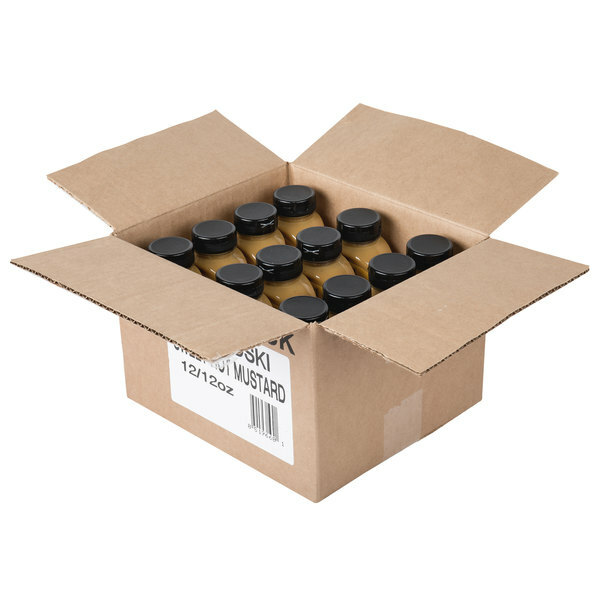 Customers won't be able to get enough of the award-winning flavor this premium condiment will add to your foods.